Quick Response is the Key! 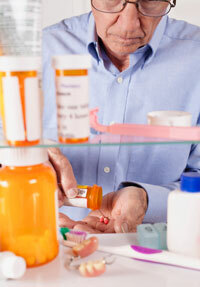 In a medical emergency, a timely response is the most important aspect of a quick recovery. If you are unable to call for assistance, it could be hours before you receive the necessary help, which could mean a long recovery time in hospital. A Care Call system can avoid that by ensuring you get the help you need quickly. Starting at $65 a month! The Care Call Buddy II combines the value of GPS technology, 2-way hands free cellular voice and an integrated SOS button all in one easy to use package. With the push of the SOS button, emergency contacts are notified with a text. The Buddy then automatically calls our Alberta based Emergency Call Center through 2-way hands free voice technology. This device is waterproof, and is upgradable to other features depending on the clients needs. If Fall Detection is a requirement, it is easily added with an additional $10 per month. Same device, same great service! Do you have a loved one with dementia or Alzheimer’s? Is wandering a concern? The Buddy uses GPS (global positioning system) that can help to promote safe walking by alerting caregivers when a person with dementia wanders outside of a defined area, plus providing the geographic coordinates of that person so they can be found more easily and quickly. This service can be added for an additional $20 per month. Our GPS solution works on the Rogers Network, so anywhere there is cell service, you can get help. If you are an active senior who still drives, or likes to go for walks in the park on your own; this is an ideal solution to help you feel safe and secure. Whatever you’re doing, you’re never alone! 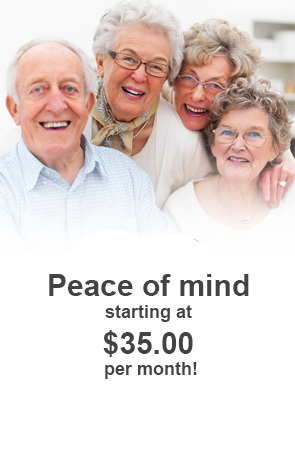 Peace of mind starting at $35.00 per month! Installation is FREE in Calgary and Edmonton and outlying areas*. Otherwise installation is merely $75 for our rural clients. Very inexpensive considering the peace of mind having a system like this will give you and your family! *Free installation for clients within 100 KM’s of Calgary & Edmonton. Considered the Heart of the Home; the Tunstall unit is the latest technology designed to provide additional services to further enable seniors to live safely on their own. It offers extended telecare capabilities like recordable reminders, critical visit monitoring and virtual sensor monitoring. Completely waterproof, a button can be worn round the neck, on the wrist or attached to an item of clothing; the Amie Pendant (button) enables a call for help to be raised anywhere in the home or yard. A Care Call button allows an alarm to be raised within a radius of 450 feet from the home unit. Fall Detector – Additional $10 per month. Priority Care Call’s Fall Detector. The most reliable fall detection device in the industry! Worn as a necklace, this little gadget will automatically detect a fall, and send a call out for help without our client ever having to push a button. Falls are common amongst older people. Care Calls fall detector option is the solution that can immediately raise an alert when a fall occurs, even when a person has lost consciousness. It is also equipped with a manual alarm button so it can also be used for other emergencies. What would happen if EMS is called to your home, but they have no way of gaining access because you are unable to open the door for them? What normally happens is they would be forced to break down your door or a window in order to get into you. This wastes valuable time as well as causes damage to your home that you have to pay to repair, adding more stress to an already traumatic situation. Care call provides their clients with a lock box for EMS access for a one-time charge of $35.00. Your safety is a priority to us! 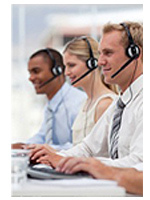 The Care Call emergency call centers are located in Calgary and Edmonton. They are staffed 24 hours a day with experienced communications professionals, gathering vital emergency call information for the efficient dispatch of emergency services when necessary. Our call centers are equipped with the most modern and up to date emergency response technology. Care Call offers this service to our clients at no extra monthly charge, and only a one-time set-up fee of $20 for programming. This means that a resident can check in by pushing the green button on their machine daily. This can be done just once per day, or morning and evening. If you do not check in with us, an alarm is raised to our call centre so we can check on you and send the appropriate help if necessary. The Caresse unit can have up to six reminders programmed into the unit, which automatically gives an audible and visual alert to the Care Call client when it’s time to take their medication. If the client does not press a key on the unit to acknowledge the reminder, the Caresse will alert our call centre so that any necessary follow-up action can be taken. There’s no monthly charge for this monitoring, just a one-time set-up fee of $30 for programming.